What Makes an Enterprise GIS Successful? Two key elements of a successful GIS are vision and leadership. If you are a GIS manager, you need to be more than just a manager. You need to be a leader in your organization. You need to awaken your organization—and the public—to the capabilities and benefits of the use of GIS. This means you need to market the benefits of GIS to colleagues and the public. Let them know that GIS can do more than make maps. Let them know that spatial analysis can provide insight that is not accessible with any other technology and that it can be used easily by anyone. This critical insight can help anyone make better decisions, be more efficient, and therefore save money and time. To realize this vision of a location platform successfully supporting your organization’s business, you need to understand how GIS can contribute to your organization’s success. Talk to leaders in your organization to understand their vision and their problems, then deploy sustainable GIS solutions that directly align with their vision and help solve their problems. Provide these leaders with solutions they can use themselves—solutions such as web-enabled, operational dashboards. Making executives GIS users will let them understand the value of GIS. It will elevate your standing in the organization as well as elevate GIS to a mission-critical, enterprise business system. A successful GIS also needs a living strategic plan. No enterprise IT system can be successful without an effective strategic plan. This plan need not be a voluminous document that takes a huge effort to create only to gather dust on a shelf. It can be as simple as a matrix showing which GIS capabilities have been deployed to which departments. It should identify target areas for GIS expansion, prioritize those areas, and show they will be implemented in phases as appropriate solutions that meet organizational needs. The key is constantly updating the plan so it stays relevant and effective. This plan should align with the IT strategic plan as well as the overall organizational strategic plan. Effective governance is another key to a successful GIS. This means that you must have an organizational structure that allows GIS to be as effective as possible. You do not want process to get in the way of progress. One key is that there must be executive sponsorship for GIS. There should also be a GIS steering committee made up of executives who can make business decisions related to GIS. This would include decisions on whether or not a GIS solution should be developed using commercial off-the-shelf (COTS) technology or a custom solution developed by authoring code. This steering committee should also prioritize the GIS projects based on their value to the organization so GIS professionals work in a manner that is sustainable and well aligned with the organization’s mission. As ArcGIS evolves, so too does the approach used to implement it. To keep up with the accelerating rate of technology change, adopt change management. Embrace change and make it part of your daily work. If you do not consciously commit time to change management, you will not effect any change. Change is tough, but it cannot be ignored. Effectively and constantly managing change is fundamental to a successful organization. You need to do this by participating in ArcGIS beta programs. A Esri Developer Network subscription will let you try out the new capabilities of the latest versions of ArcGIS and learn how they can benefit your organization’s work. If your ArcGIS implementation is to be successful, the apps that people use must be engaging. With the widespread acceptance in our personal lives of smart mobile devices, like phones and tablets, and their app ecosystems, the expectations of end users have permanently changed. No longer are people willing to read a manual or take a class to learn how to use an app. They won’t use apps that replicate the desktop with lots of layers to turn on and off and toolbars full of tools. Apps need to be focused; intuitive; and work on any device, anywhere, at any time. With the spread of smart mobile devices, work takes place wherever and whenever the worker decides, so your GIS apps need to be ready to work and as easy to use as any other app. The goal is to give everyone alternatives that use the latest and most authoritative data and processes, but to keep those alternatives in a known, controlled, and secure environment. ArcGIS includes apps that can easily be configured and tools for creating apps without writing code. Become familiar with them and use ones useful to your organization’s workflows. The last key to a successful GIS implementation is good people. GIS is rapidly changing technology, so it is critical that GIS professionals get annual training. Maintain a living workforce development plan that creates an educational pathway for the GIS users in your organization based on their responsibilities. A GIS manager needs business management skills as well as technological and IT skills. As a GIS manager, you need to market your team’s capabilities to the leaders of your organization. You also need to develop and maintain a business plan and change management plan as part of the GIS strategic plan. These skills must be acquired for your program to be successful. You also need to learn how to run an enterprise IT system, implementing service-level agreements, system architecture design, enterprise system integration, security, and project management. No successful GIS relies exclusively on internal resources. Implementing and maintaining an effective enterprise GIS requires outside assistance, so plan for getting assistance from Esri and/or its partners. Assistance from external, experienced professionals will increase the likelihood of success, minimize risk, and reduce the project timeline. Esri offers many resources to help make you successful, so take advantage of them. Read the white paper Architecting the ArcGIS Platform: Best Practices. 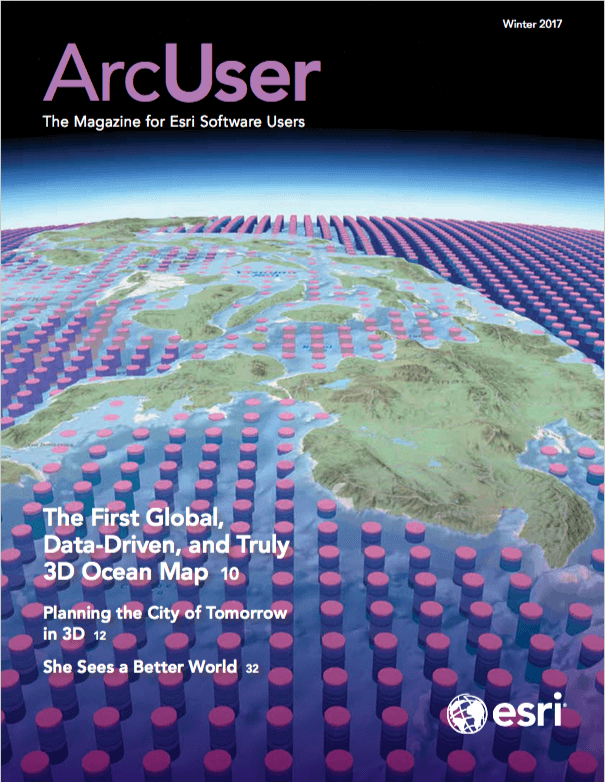 Read columns by GIS managers in every issue of ArcUser magazine. See Managing GIS blog posts on Esri Insider. Join and participate in the Managers in GIS LinkedIn group. Attend the GIS Managers’ Open Summit at the Esri User Conference. Contact your Esri account team. Your success is their job. Adam Carnow inspires Esri customers to maximize their return on investment in the ArcGIS platform and make a difference in their communities. He is a keynote speaker, thought leader, and technology evangelist at Esri who works closely with the Esri teams and partners to assure customer success. Carnow has more than 25 years of experience as a GIS practitioner in the public and private sectors, as well as academia. He holds a bachelor’s degree in geography, and a master’s degree in urban and regional planning from the University of Florida. He holds certifications as an Urban Planner (AICP) and a GIS Professional (GISP).